More Than Just Waffles: In the city of Kebabylon! In the city of Kebabylon! In the city of Kebabylon there was a beacon of bacon! Yes we are krazy for kebabs! We first marinated the chicken cubes in curry paste, olive oil etc. It would probably be a good idea to also marinate the vegetables at this point too, however we were late for a date with a mate so it had to wait. 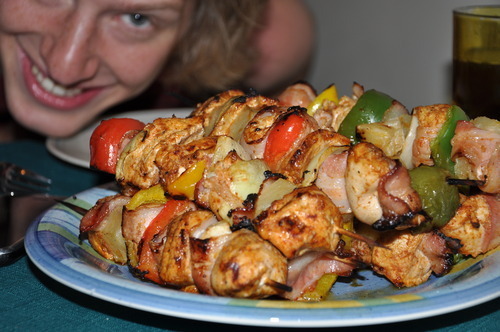 After about 8 hours we started what felt like craft time and skewered the chicken, onions, peppers and pineapple chunks with intertwined bacon (obviously a boy thought of adding bacon). They then made their way onto the BBQ and to Kebab perfection. This being Canada we have to get all our (comfortable) BBQ’ing done in only a few short months. After coming off the BBQ they should (and will) be consumed promptly to maximize the flavour the tender delicate chicken juxtaposed with the crisp rich bacon. The pineapple, onion & bell peppers were a superb combination with the chicken & bacon. We can safely say this is a perfect recipe. 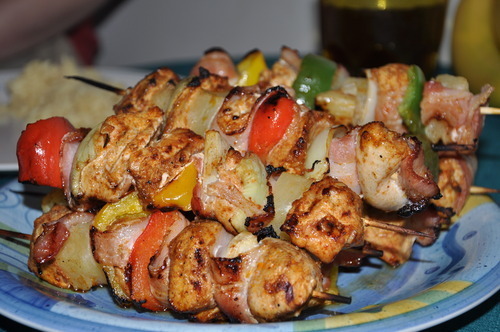 Our guests even reported “these Kebabs are HEAVEN” (I seriously did not make that up). We figure kebabs (already half demolished in the background!) 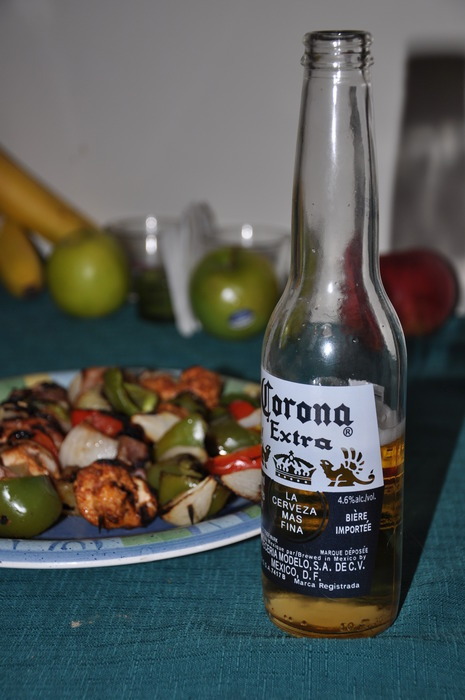 are best enjoyed with a summery Corona. Although they were also enjoyed with Long Island Iced Teas and Gin & Tonic with equal gastronomic pleasure. 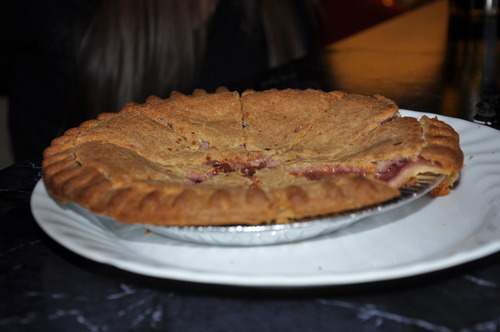 We finished ‘er off with a (diabetic friendly) pie to celebrate a birthday (no he’s not a diabetic) - certainly no match for the kebabs though (really, they were amazing). On another note, if you’re looking for a good BBQ drinking game try Up Jenkins!